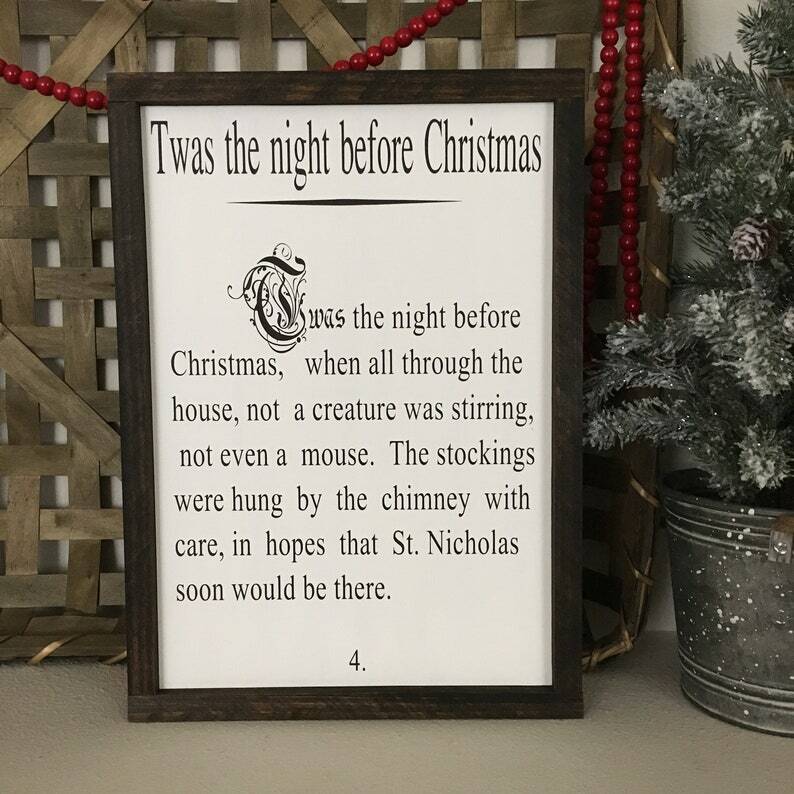 The one book that everyone reads Christmas Eve and now the sign can be perfect addition for Christmas decor. The sign measures at 12.5"x16.5" outside dimension. The sign is painted in white acrylic paint and the text has been painted with black acrylic paint. The sign has a coat of polyurethane for protection and sawtooth for easy hanging. Please message us if you need the sign in different size, finish.